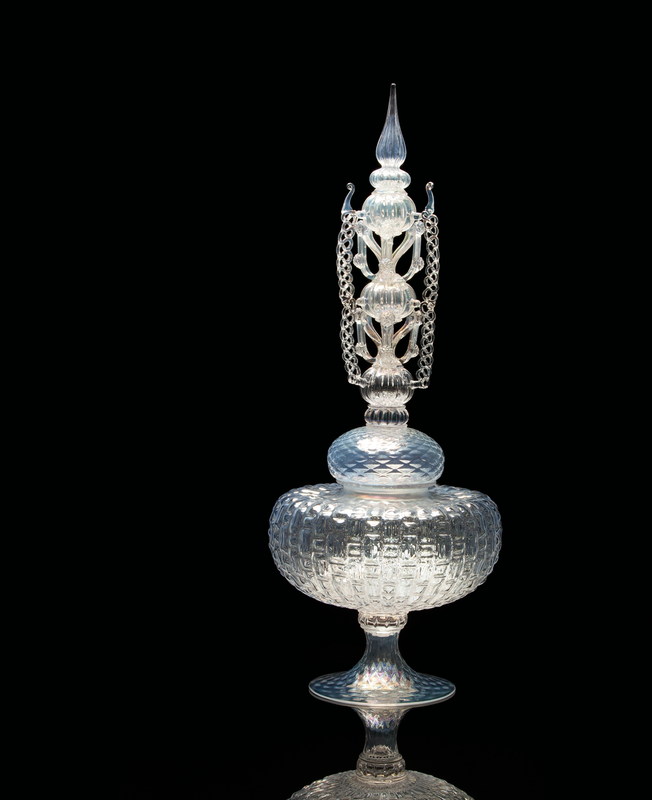 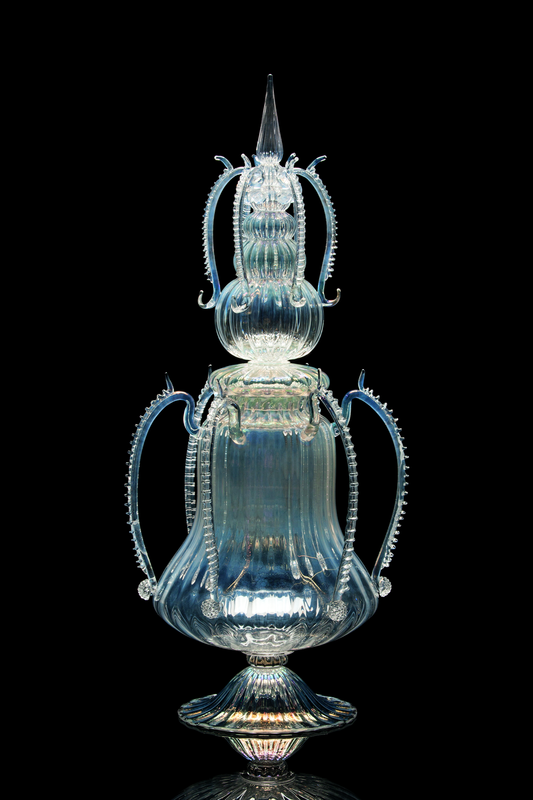 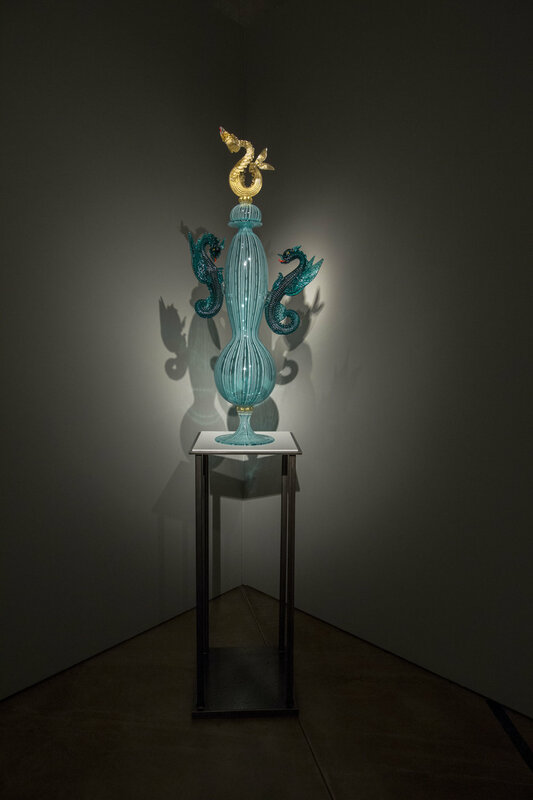 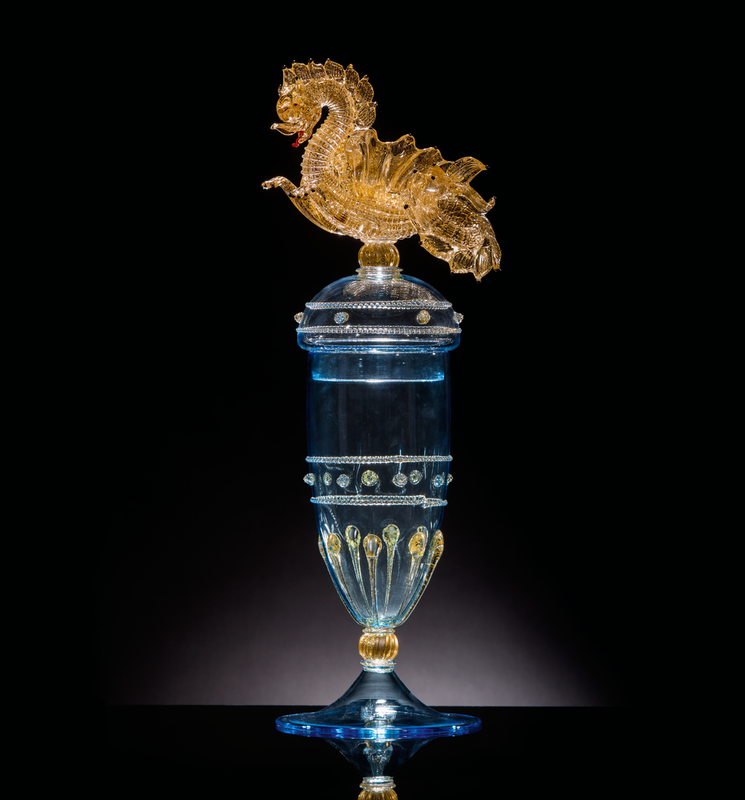 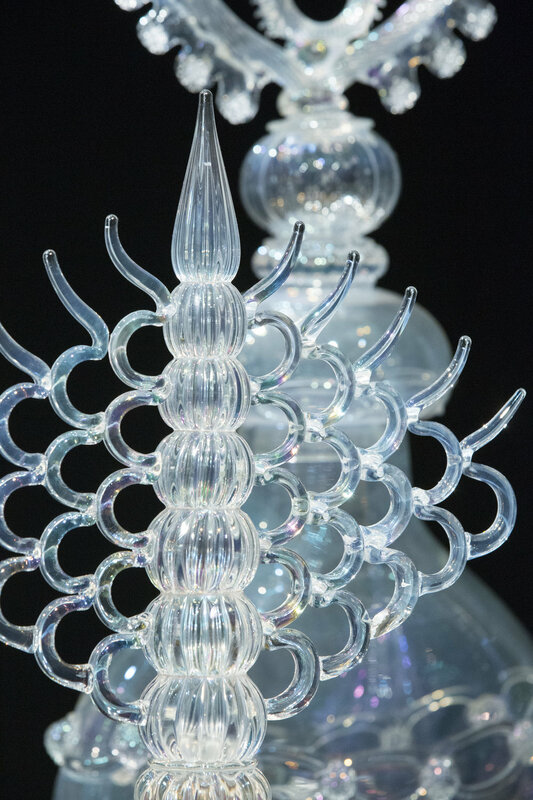 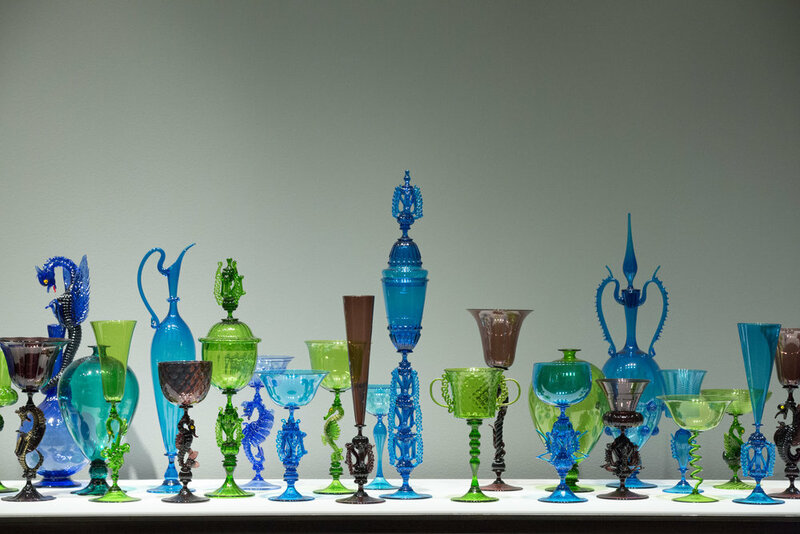 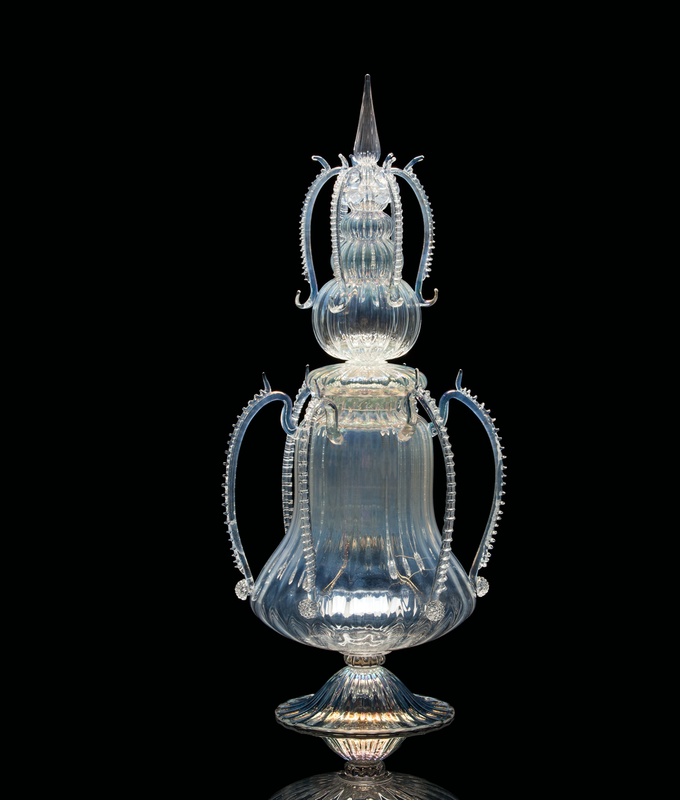 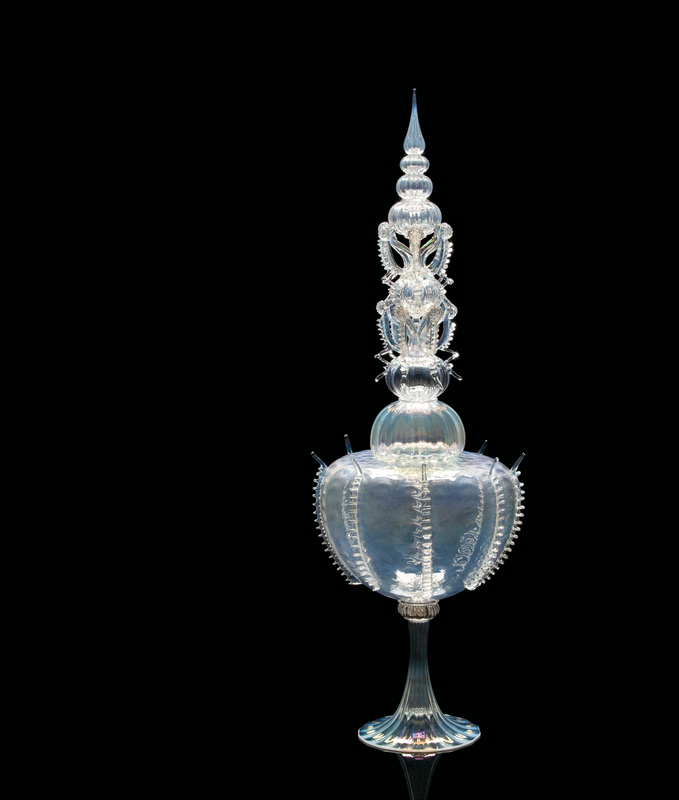 This collection grew out of the collaboration of collector George Stroemple and artist James Mongrain, a self-proclaimed beneficiary of the Italian masters of glass blowing. 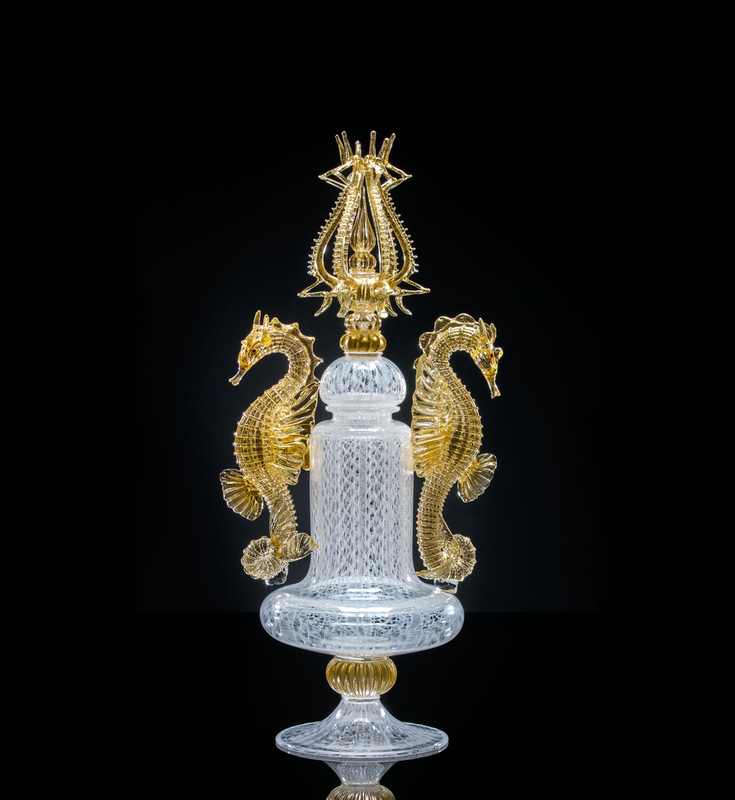 Mongrain’s Reinterpreting Venetian Tradition pulls on the renowned Venetian glass heritage to encapsulate the style and skill of these time-withstanding methods. 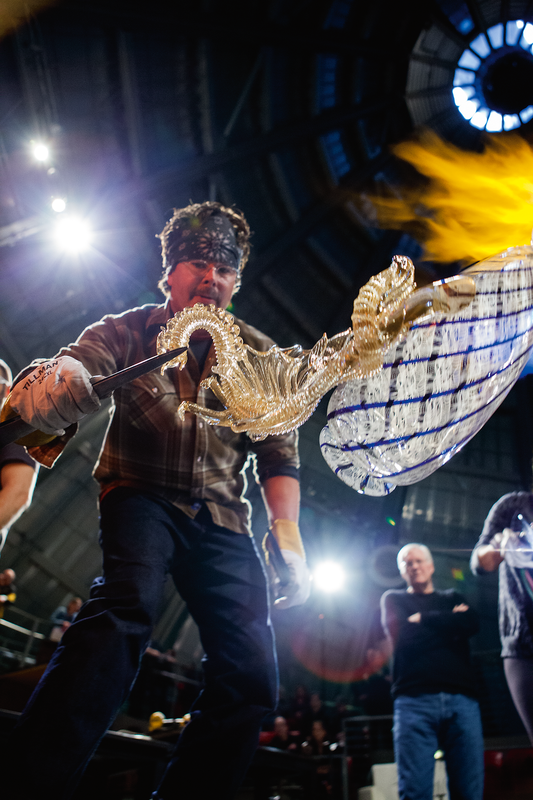 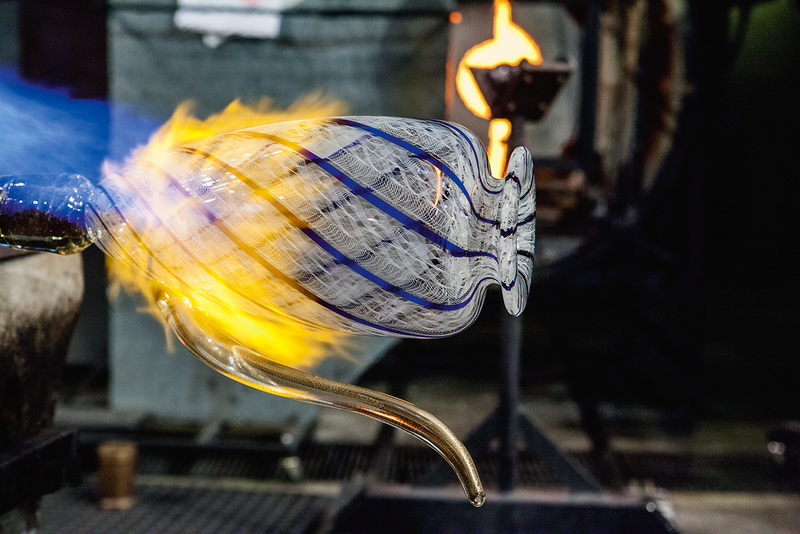 For the past 12 years, Mongrain has duly served as Pacific Northwest artist Dale Chihuly’’s head gaffer; this connection between the two glass-blowers was one of the reasons for Stroemple’s eager commission of Mongrain. 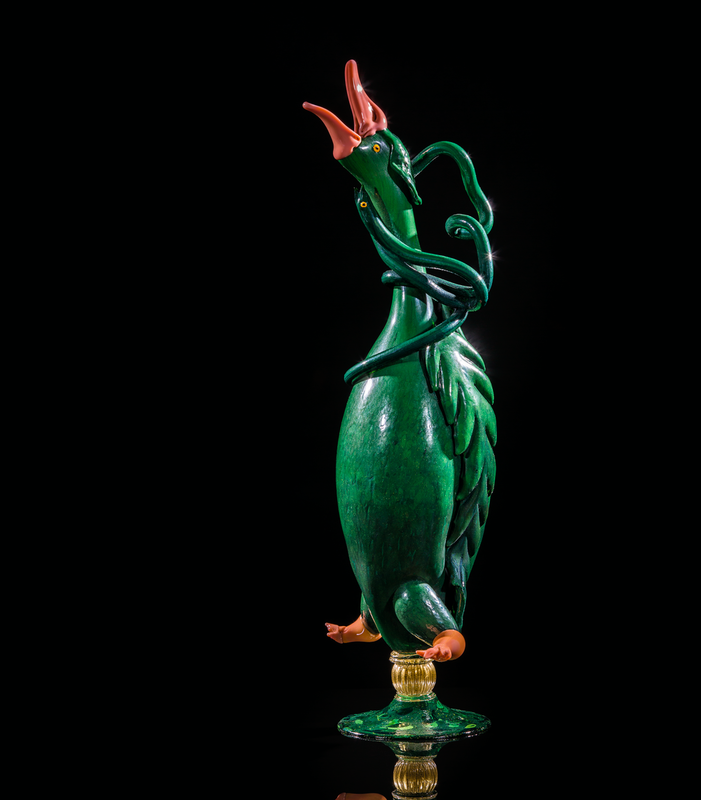 With this collection, the artist reinterprets the motifs so laboriously exacted decades prior in order to reproduce the same traditional forms, fantastical animals and elaborate designs, but in his own singular style. 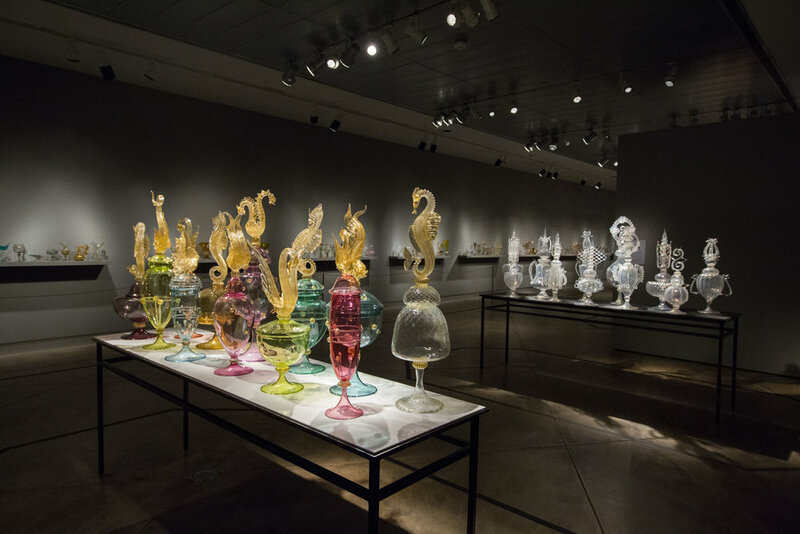 As a result, Mongrain’s contribution to the Pacific Northwest Glass Movement is deep and resounding. 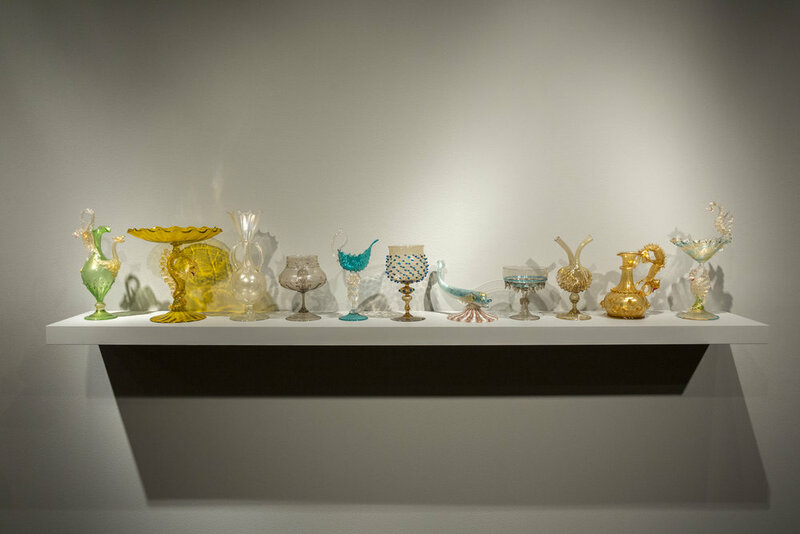 Mongrain’s first commission for the Stroemple Collection took place in 2012 and consisted of 10 historical replicas of vessels. 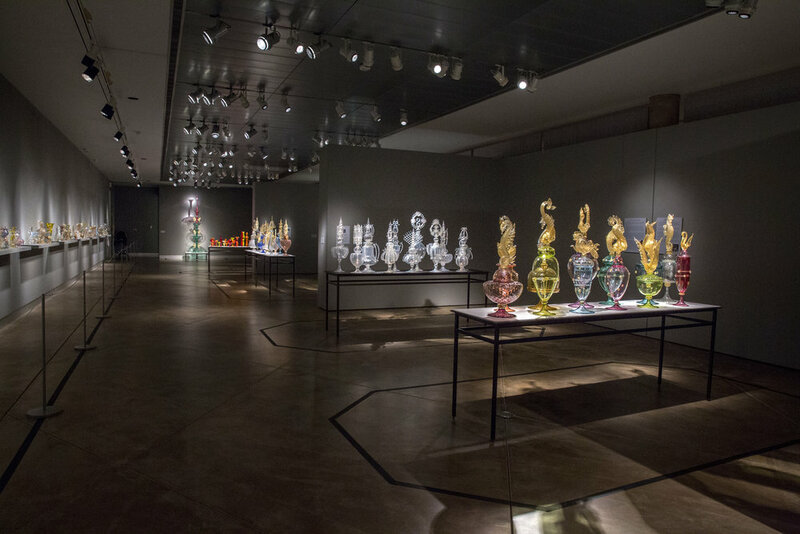 The success of this first encounter spurred further conversation between the two, culminating in the pieces featured here. 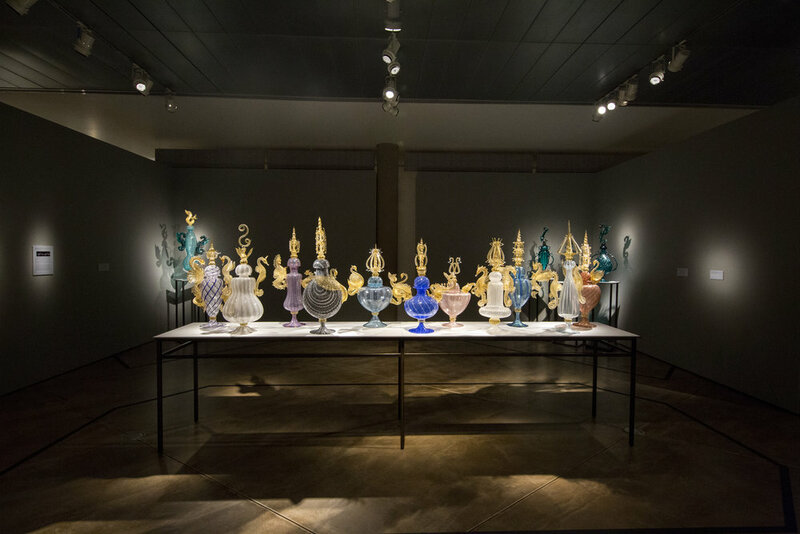 The works in this commission are vast and include Mongrain’s Ispirazione, Adriatico, Atlantis, Poseidon and Arcobaleno Series. 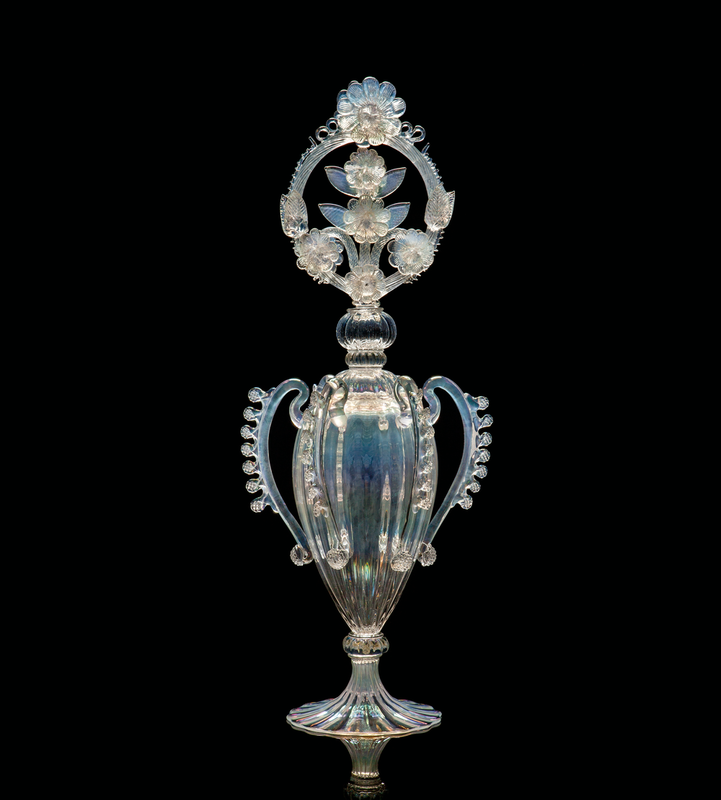 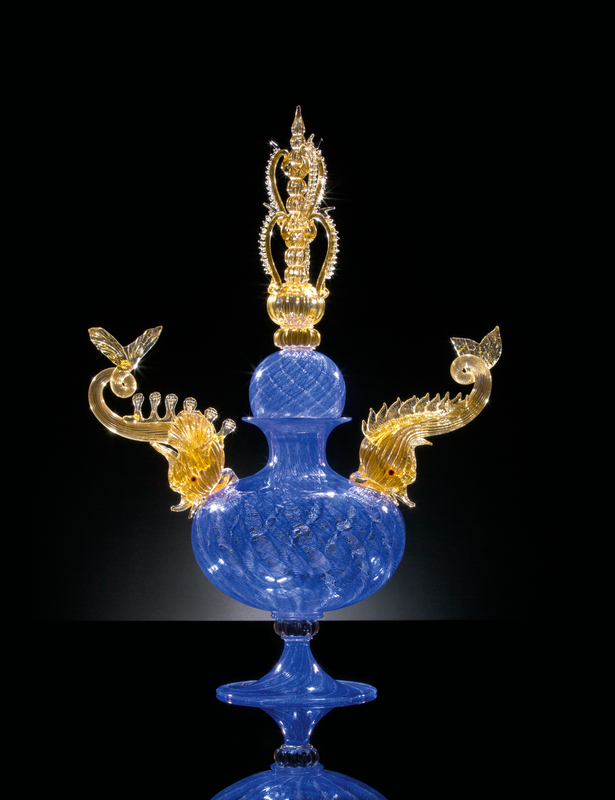 The pieces, ranging from ewers, bowls to vases, are a near perfect mimicry of the original translucence and inventive ornamentation born of Venice in the nineteenth-century. 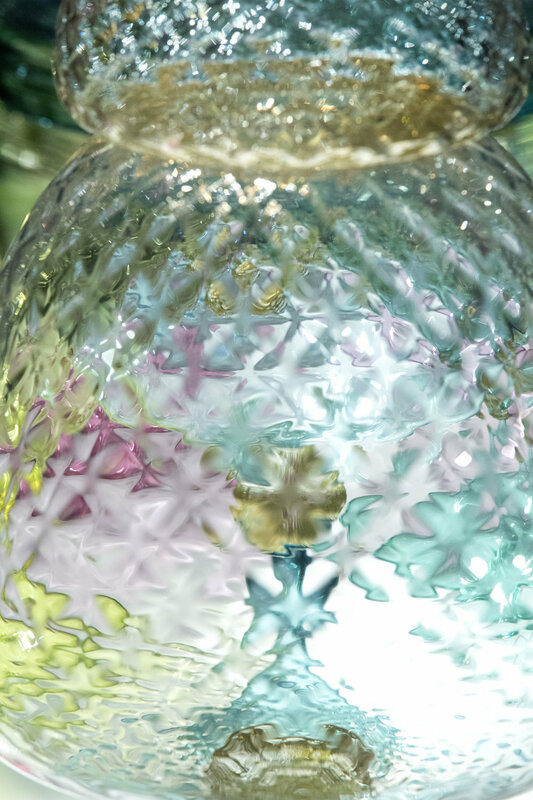 Reinterpreting Venetian Tradition is an elegant example of the manner of imbuing the present with the rich talent and durable mark of the past, a new interpretation on the meaning of “vintage.” This collection is a fresh tribute to tradition, complimenting the smooth evolution that has taken place in the glassblowing tradition. 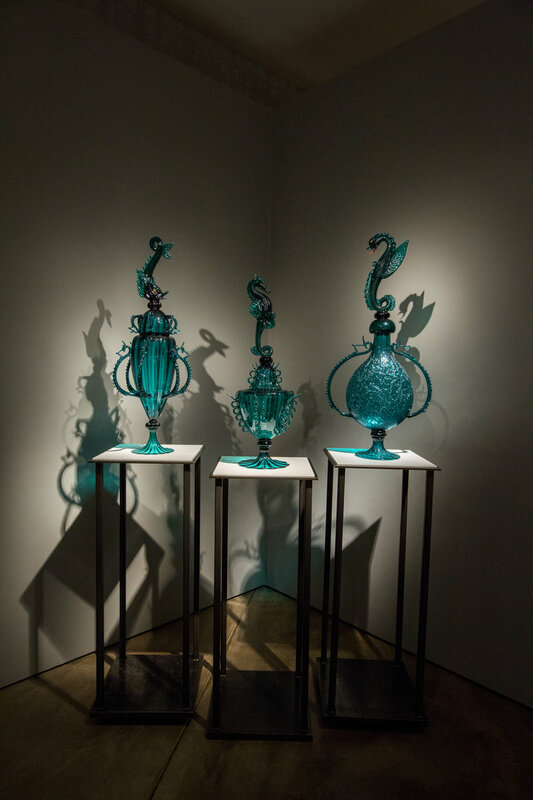 Four series of works in the collection, entitled: Arcobaleno, Poseidon, Adriatico, Replica and Atlantis. 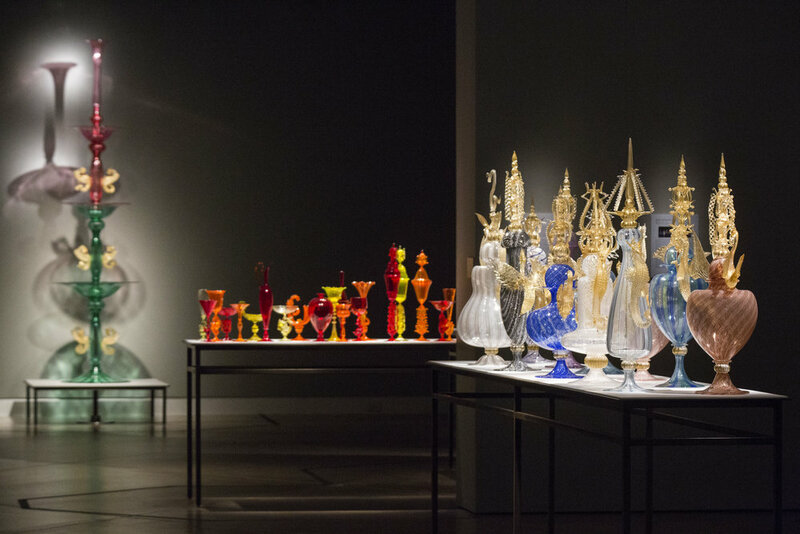 Approximately 153 glass works. 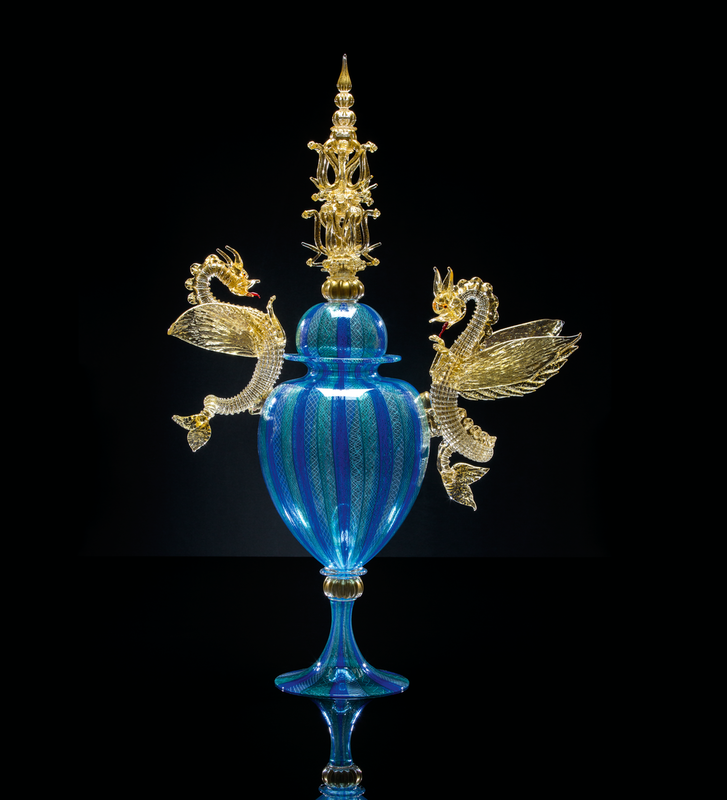 Accompanying the exhibition is the book, James Mongrain: Reinterpreting Venetian Tradition, The George R. Stroemple Collection, a 136-page hardcover book with 102 photographs. 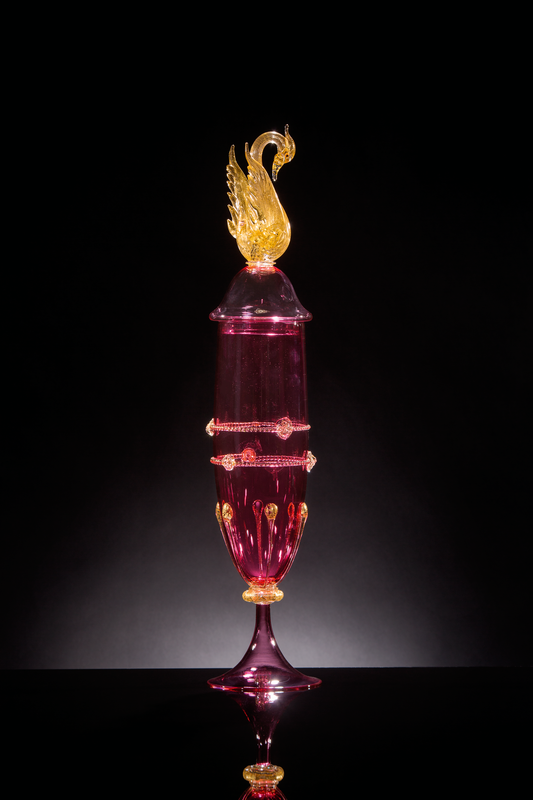 Essays by Sheldon Barr and Linda Tesner. 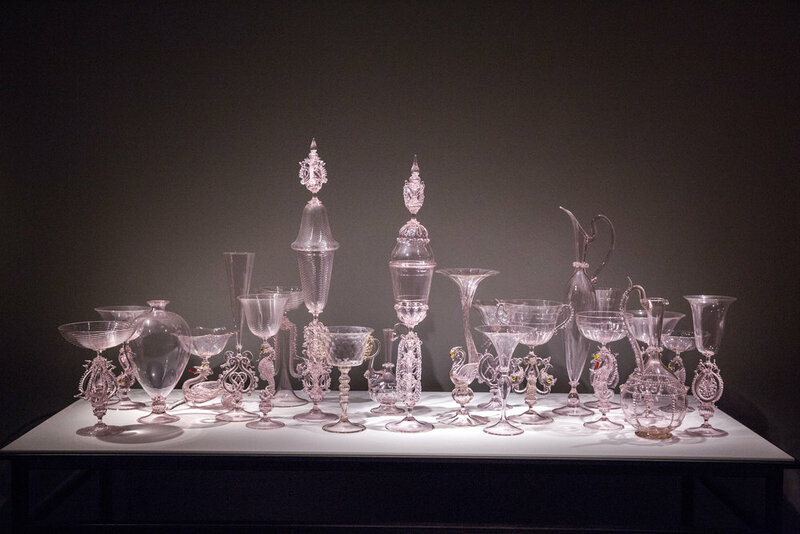 Printed by Lucia Marquand, Seattle, Washington.